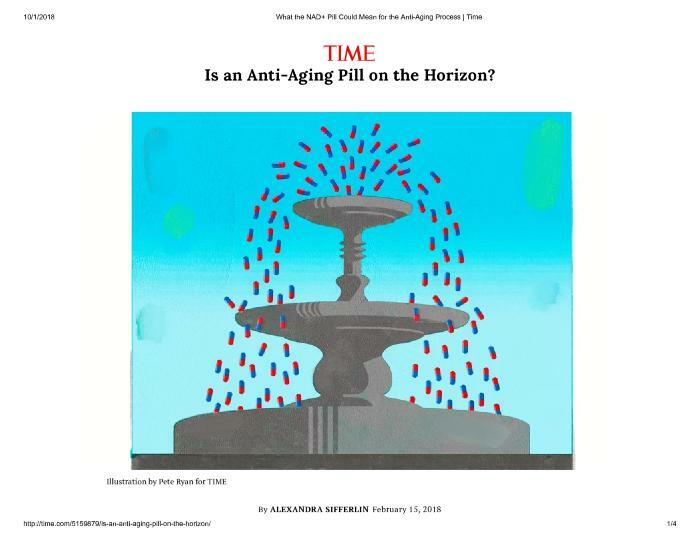 Decimal Lab : Image : Is an Anti-aging Pill on the Horizon? The molecule, nicotinamide adenine dinucleotide (NAD+ for short), is crucial for regulating the aging process of the human body. A group of researchers at Harvard Medical School, led by David Sinclair, believe increasing the amount of NAD+ in our aging bodies will make us look and feel younger, as well as increase our life expectancy. A compound that raises our NAD+ levels when consumed was given to 2-year old lab mice. These mice were reported to have the same tissues as a 4-month old mouse. Now, NAD+ supplements are being tested on humans.